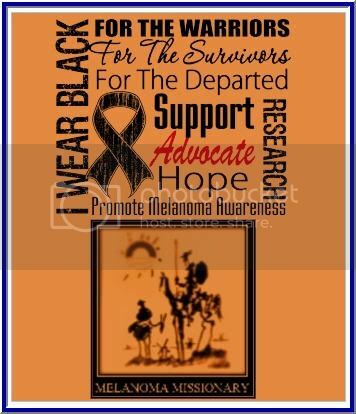 I am still a firm believer that IL-2 is essencial to develop the right immune response aganist Melanoma Cancer. 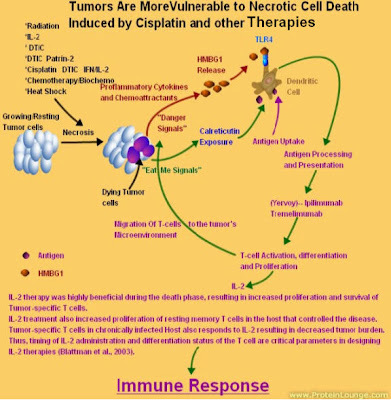 The correct timeline is needed to activate the (CTLs) Cytotoxic T Lymphocytes. IL2 must be added to the therapy 50 days after the initial T-cell Activation to achieve the robust response. Studies show that regulatory T (Treg) cells play a detrimental role in cancer immunotherapy because these cells accumulate in the tumor microenvironment and suppress immune responses. Moreover, Researchers recently showed the presence of tumor-specific CD4+, CD8+, and γδ Treg cells in several types of tumors, suggesting that they can induce antigen-specific, local immune tolerance at tumor sites. Tumor-associated macrophages (TAMs) and myeloid-derived suppressor cells (MSC) could also play an important role in inhibiting immune responses and chronic inflammation, which has been linked to cancer development and progression. Both tumor-associated macrophages/DCs and MSCs promote tumor growth either by secreting immunosuppressive cytokines, including interleukin 10 (IL-10), transforming growth factor-β (TGF-β), and IL-1β, or by inducing Treg cell differentiation. More importantly, tumor cells have been shown to express inhibitory factors (IL-10, TGF-β, GAL-3, and IDO) to alter T-cell function. 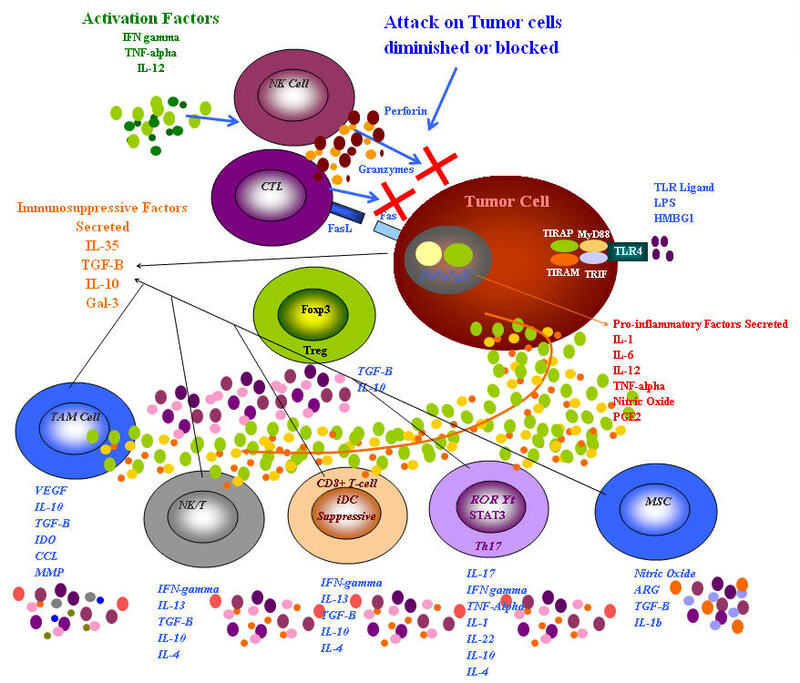 Immunosuppressive factors, such as FasL and TGF-β expressed by tumor cells, may directly inhibit tumor-reactive T-cell expansion or induce T-cell apoptosis. A recent studies suggest that tumor-associated galectin-1(Gal-1) and or Gal-3, a membes of the animal lectin family, contributes to tumor immune escapes by inhibiting the function of tumor-reactive T cells. Therefore, tumor cells constantly modulate T-cell responses by presenting tumor antigens and secreting immunoregulatory cytokines. Understanding the interplay between tumor cells and immune cells in the tumor microenvironment is essential for the development of effective cancer immunotherapy. Researchers tested whether Gal-3 could activate other tumor-reactive or antigen-experienced T cells. Five melanoma-reactive T-cell lines, one prostate cancer–derived T-cell line, and two breast cancer–derived T-cell lines were selected and cocultured with 293 cells expressing Gal-3 for 12 to 16 h. they found that Gal-3–expressing 293 cells activated all of these T-cell lines to secrete IFN-γ but failed to activate naive CD4+ and CD8+ T cells purified from peripheral blood mononuclear cells (PBMC) of healthy donors . Suggesting that naive T-cell activation requires a strong T-cell receptor (TCR)-mediated activation, whereas tumor-reactive T cells can be readily activated by Gal-3. They also evaluated the cytokine profiles of CT28 T cells on Gal-3 stimulation. Gal-3 induced a high level of IFN-γ, granulocyte macrophage colony-stimulating factor, and low to middle levels of IL-4, which is similar to cytokine production induced by anti-CD3 (OKT3) stimulation. This is an indication that the Gal-3 complexes with the TCR synapse causing impaired signaling. Gal-3 binds and activates tumor-reactive T cells through carbohydrate-specific interaction. Fibroblasts , and activated T-cells. Although galectin-1 has been shown to induce T-cell apoptosis, galectin-3 has conversely been shown to prevent cell death induced by Fas ligation. Galectin-3 has been shown to rescue cells from apoptosis by protecting against alterations of the mitochondrial membrane and formation of reactive oxygen species. A growing body of evidence supports the involvement of galectin-3 in tumor growth and metastasis. Galectin-3 and IL-10 receptor needs to be inhibited to break the rest of the tolerance so the immunotherapy can have a greater effect with a better response rate. Is this the smoking gun to Melanoma and the reoccurrence the plasticity of the Macrophages? The (TAM) Tumor Associated Macrophage or more precisely M2-Like Phenotype. In my search for answers, I have been focusing in on how the tumor escapes detection by the immune system. We need to know what is going on in vivo during the different stages of melanoma. The tumor mass is undoubtedly a multifaceted show, where different cell types, including neoplastic cells, fibroblasts, endothelial, and immune-competent cells, interact with one another continuously. Macrophages represent up to 50% of the tumor mass, and they certainly operate as fundamental actors. Macrophages constitute an extremely heterogeneous population; they originate from blood monocytes, which differentiate into distinct macrophage types, schematically identified as M1 (or classically activated) and M2 (or alternatively activated). 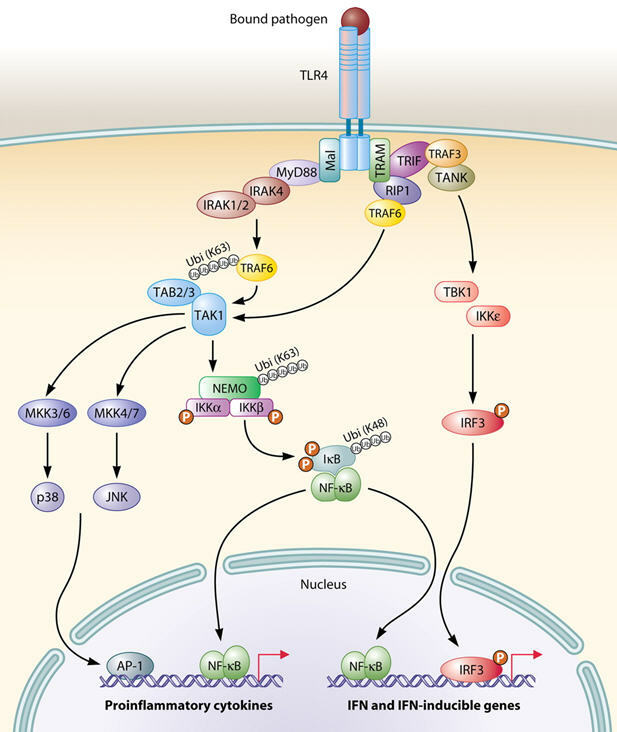 It is now generally accepted that TAMs have an M2 phenotype and show mostly pro-tumoral functions, promoting tumor cell survival, proliferation, and dissemination. High levels of TAM are often, although not always, correlated with a bad prognosis, and recent studies have also highlighted a link between their abundance and the process of metastasis. A) No infiltration of immune cells in the tumor’s microenvironment. C) Diffuse immune cell infiltrates throughout a metastatic tumor and its microenvironment. 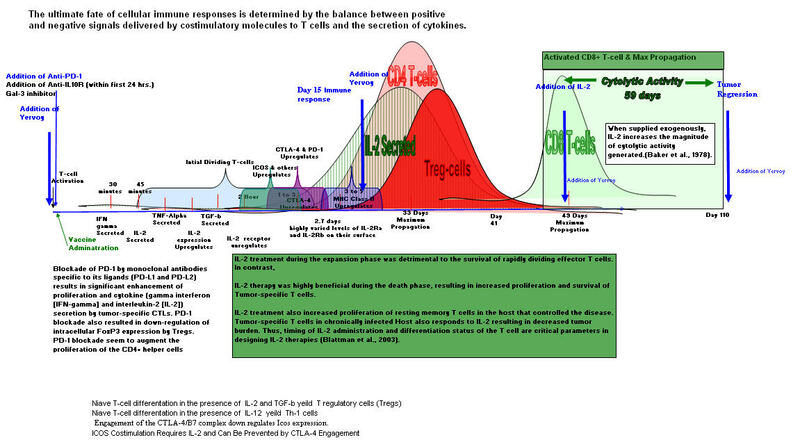 Overall, the most predominant immune cells were T cells (53%), followed by the B cell lineage cells (33%), and then by macrophages (13%), with NK and mature dendritic cells only hardly present. With the setting of the tumor’s microenvironment evaluated, we will focus the low survival immunotype A patients. How can we improve the overall survival and the immune response to Melanoma? 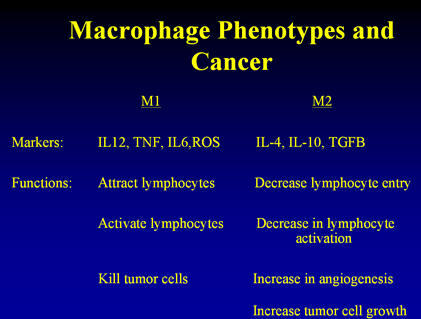 We need to push the differentiation of the macrophages towards the M1 phenotype. Macrophages are important tumor-infiltrating cells and play pivotal roles in tumor growth and metastasis. 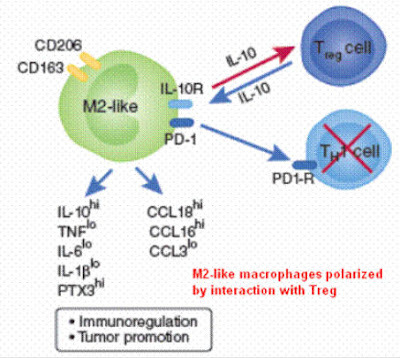 Macrophages participate in immune responses to tumors in a polarized manner: classic M1 macrophages produce interleukin (IL) 12 to promote tumoricidal responses, whereas M2 macrophages and M2-Like produce IL10 and help tumor progression. The mechanisms governing macrophage polarization are unclear but in 1990 it was discovered treatment of M2 macrophages with GM-CSF or IFN-gamma led to production of M1 phenotypic markers upon LPS stimulation. It also has been seen that if you block the IL-10 receptor with an antibody along with LPS (TLR4 agonist) stimulation or CpG (TLR9 agonist) stimulation you shift the Macrophage plasticity towards the M1 phenotype. So what causes the high Macrophage (M2) to migrate towards the Tumor and its microenvironment? Does the tumor somehow recruit these (TAMs) Tumor Associated Macrophages? What are the characteristics of the M2 phenotype? 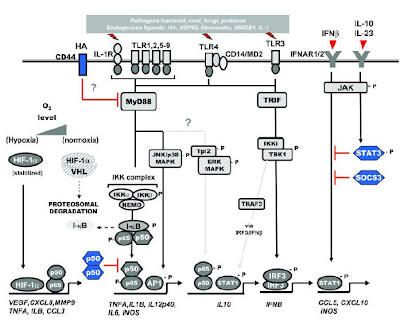 Hallmarks of M2 macrophages are IL-10high IL-12low IL-1rahigh IL-1 decoyRhigh production, CCL17 and CCL22 secretion, high expression of mannose, scavenger and galactose-type receptors, poor antigen-presenting capability and wound-healing promotion. CCL17 and CCL22 chemokines within tumor microenvironment are related to infiltration of regulatory T cells in Macrophage 2 in melanoma. Early Detection of Tumor Cells by Innate Immune Cells leads to Treg Recruitment through CCL22 Production by Tumor Cells and Tumor Assocated Marophages (TAMs). It has been suggested that at early times during tumorigenesis, the detection of tumor cells by innate effectors (monocytes and NK cells) imposes a selection for CCL22 secretion that recruits Treg to evade this early antitumor immune response. The activated T-cells upregulate the CTLA-4 and PD-1. PD-1 ligation induces IL-10 production by monocytes, which together with PD-1 inhibits CD4+ T cell responses/activation. 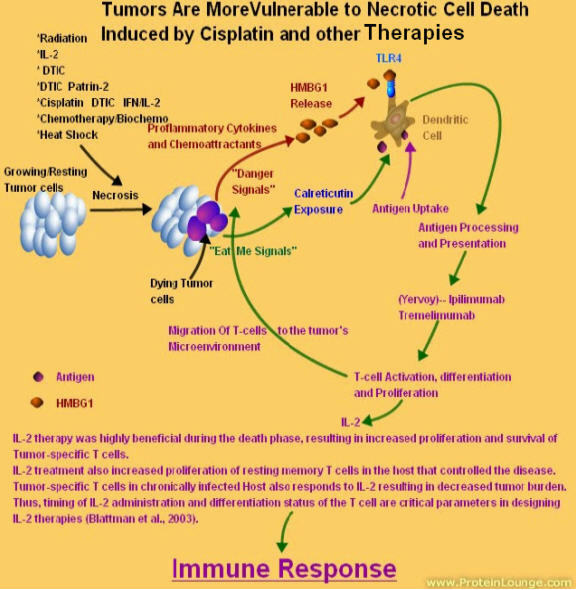 This is way for the immune system to use a checkpoint so that immune response does not lead to an autoimmune response. These receptors keeps the immune system in check. 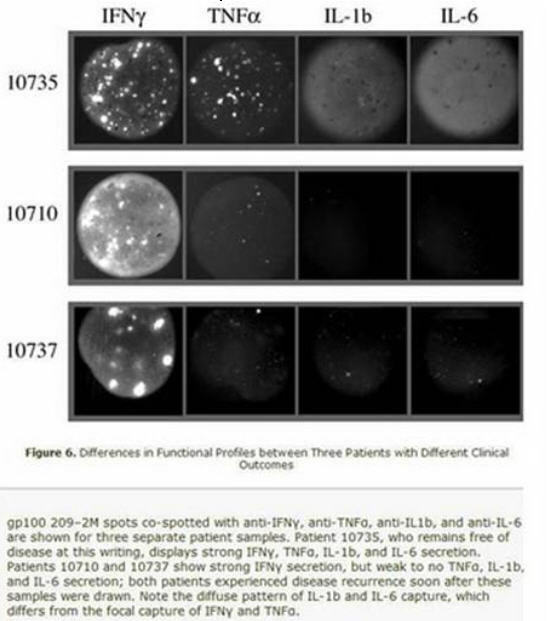 If you look at the above micrographs, you will see that the two patients that had relapsed (10710 and 10737) had IL-1b and IL-6 and TNF alpha missing. The macrophages were not activated!!!! The "Danger Signal" known as inflammation was missing! The non-responders most likely had their macrophages polarized to a M2-like phenotype by the Tregs and or IL-10. So if the Macrophages are M2-like in the Tumor’s microenviroment, then if we control the Tregs, the upregulation of the of CTLA-4, PD-1 on the T-cells including the Tregs, and control the IL-10 production through anti-IL-10 antibody on the macrophages, we can shift the M2-like Macrophages into the M1 thus producing IL-12 shifting the differentiation of the Niave CD4+ T-cell the TH1 phenotype to activate the T-cells. This all can be done with Yervor, Anti-PD-1 and Anti-IL-10 receptor antibody. 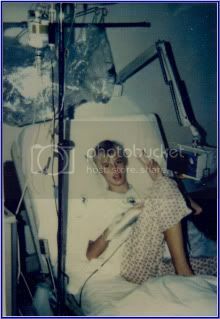 You can get the tomor to shed antigentic protein by either whole radiation, Chemotherapy (TMZ- + Patrin-2) or Heat Shock. CpG oligonucleotides induced NF-_B activation through the triggering of TLR9 signaling in TAM (Fig. 2), and the co-use of an IL-10 receptor Ab reduced IL-10 signaling in TAM, thereby reducing their M2 polarization. HMGB1 from the dying tumors (irradiation, Chemotherapy, Heat Shock) will act as the Danger signal and bind to the TLR4 and activating the Macrophage (M1) and secrete IL-12 which acts upon the naïve CD4 T helper cells to differentiate to the Th1 phenotype. petoh et al. has revealed an interesting role of TLR signalling in cancer therapy. They studied the immune-stimulatory properties of dying tumour cells after chemotherapy or radiation therapy. Using TLR4 and MyD88-deficient DCs, they show that TLR4 signaling is required for crosspresentation of antigens from apoptotic tumour cells on MHC class I to generate antitumour cytotoxic T cell (CTL) responses. Apetoh et al.also identified a “danger signal” from dying tumour cells, the nuclear protein highmobility group box 1 protein (HMGB1, see Figure) that triggers this protective immune response through activation of TLR4. According to their work, the interaction of high mobility group box 1 protein (HMGB1) released from dying tumour cells with Toll-like receptor 4 (TLR4) on dendritic cells is required for the crosspresentation of tumour antigens and the promotion of tumour specific cytotoxic T-cell responses. So to sum it up, If you take Yervoy + Anti-PD1 + Anti-IL-10 along with radiation/Chemo could we get the right T-cell activation and Immune Response? My guess you will activate the TLR4 pathway and induce the RIGHT IMMUNE RESPONSE. So can we Get the Oncologists on board to propose and setup a clinical trial? Remember the this blog. It will lead to a CURE!!! March 8, 2012 — A small study that shows a surprising complexity of genetic changes within a single tumor has far-reaching implications for the march toward personalized cancer therapy, according to researchers. "A single biopsy from a tumor might not be sufficient to give a full picture of its genetic landscape, a team from the United Kingdom reports." When the researchers examined 10 biopsies taken from a single kidney cancer, they found "an extraordinary amount of diversity" in the genetic changes that had taken place in different parts of the tumor. "There were more differences between biopsies from the same tumor at the genetic level than there were similarities," said senior author Charles Swanton, MD, PhD, from the Cancer Research UK, London Institute, and the University College London, United Kingdom. You might want to get at least 2 biopsies in opposite locations within the tumor. This is not new!! If you read my paper "Melanoma and the Magic Bullet" from the shared files, you will see that I was able to shed tumor antigens using Chemotherapy. New melanoma treatment -- a turning point against cancer? Radiating one tumor can trigger the immune system to wipe out tumors in other parts of the body and may boost the effectiveness of Bristol-Myers Squibb Co. (BMY)’s cancer drug Yervoy, doctors have shown. Recent evidence shows that the anti-tumor immune response elicited by radiation therapy or chemotherapy is due to the release by dying tumor cells of HMGB1, which acts on TLR4/MyD88 on dendritic cells. 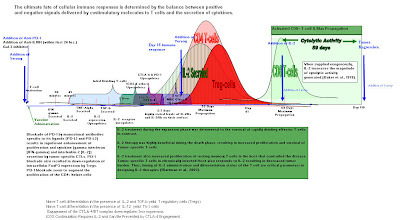 It has been known that if radiation kills the outer most cells of the tumor, it can shed tumor specific peptides/antigens that are picked up and display on the DCs. It can also get the cells to secrete HMGB-1 which binds to the TLR4 and activates the macrophages which in turn secrete IL-12 and other cytokines and chemoattractants to get the right immune response. Dr. Rosenberg uses whole body radiation prior to the adoptive cell therapy. He has seen higher responses. The role of the CD8+ T cells is to monitor all the cells of the body, ready to destroy any that express foreign antigen fragments in their class I molecules. Three major events must occur to Activate CD8+ T cell mediated response against melanoma. First, the T-cell receptor (TRC) must be triggered by a (or multiple) self antigen–derived peptide MHC class I complex. This event depends entirely on appropriate antigen presentation, which is most efficiently provided by mature dendritic cells. Once properly activated, may serve as tumor-specific effector T cells. Second, simultaneously with T-cell receptor triggering, a distinct second costimulatory signal must be delivered, mediated by IL-2, B7-1, or B7-2, which engage IL-2 receptors and CD28 on the surface of the T cell, respectively . A source of these cofactors for effective CD8+ T-cell stimulation can be provided by CD4+ T cells that release critical amounts of IL-2, or by mature dendritic cells that display an increased level of B7-1/B7-2 costimulatory molecules on their cell surfaces. 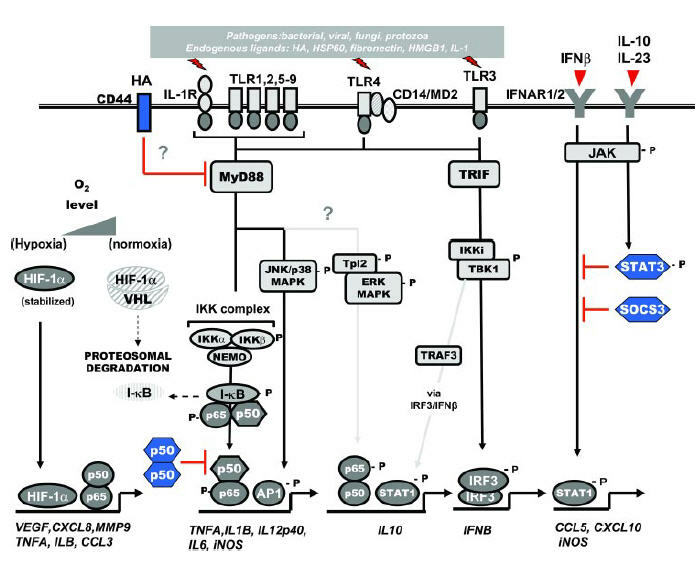 Third, inflammatory cytokines, including IL-1, IL-6, IL-12, and IFN-γ provide a third signal that acts directly on T cells, referred to as the “danger signal”. This signal was found to optimally activate TH1 differentiation and lead to clonal expansion of T cells. Without the tumor derived debris(Tumor-specific antigens), the immune system doesn't know what to go after.No Immune response will occur.